Deepika Padukone's unibrow... umm... we mean Deepika's Padmavati unibrow is what the Internet woke up to on Thursday and was left startled. Team Padmavati dropped the first posters of the movie on Thursday morning, featuring Deepika Padukone in an utmost regal attire and that talked about unibrow. Twitter in particular can't figure out what to say, actually. "I don't know how I feel about Deepika Padukone's unibrow in Padmavati though," read a tweet while another one found it hard to believe that Deepika actually sports a unibrow: "Is it just me or Deepika Padukone does seem to have a unibrow in the first look of Padmavati?" 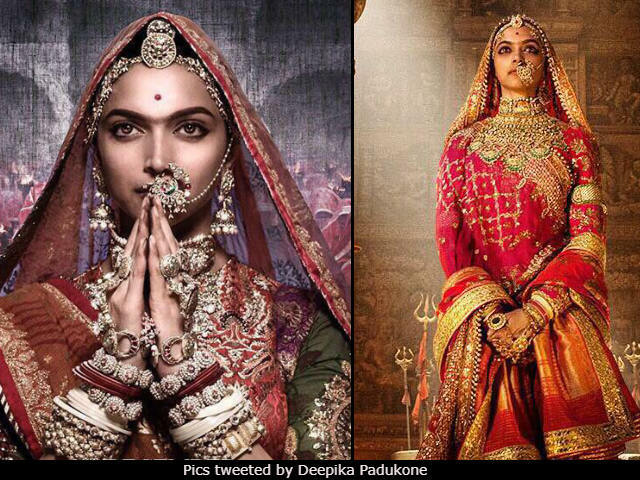 Deepika plays the titular Rani Padmavati in the Sanjay Leela Bhansali-directed period piece and a section of Twitter has taken up the responsibility to explain Deepika's brow-connection. Wonderfully put, here it goes: "Deepika rocking the unibrow, coz queens got no time to tweez their brows!" The first thing I noticed about #Padmavati is that unibrow. Followed by that unibrow. However, not all are happy to see their favourite actress in the new look. Some netizens even evaluated Deepika's look in accordance with cliched beauty standards. "Why is she having a unibrow? This picture is depressing," it said. Majority of Twitter quickly shrugged off the tweets trolling the actress and moved on to better thoughts. Like how Kajol must be having a deja vu right now. One Twitter user made a hilarious reference to Kajol, who is known to have sported a unibrow for over two decades of Bollywood. Everyone who is complaining about the unibrow doesn't deserve to watch #Padmavati. It all started when the Padmavati stars - Deepika, Shahid Kapoor and Ranveer Singh - shared the first posters featuring Rani Padmavati in all her royalty. Padmavati is arriving in theatres on December 1.